Once upon a time, in a galaxy far, far away, it was a dark and stormy night. So dark and stormy, in fact, the power had gone out, and you had naught but a handful of scented three-wick candles with which to light your way. As you crept down the darkened hallway of the cabin in the woods along the picturesque shores of Crystal Lake that you and your randy teenage friends rented from the eerily helpful maintenance man back at the abandoned service station with all the weird pelts hanging outside, you caught a glimpse of movement out of the corner of your eye. Whirling madly about, you brandished your glass jar of Pumpkin Cupcake Crunch, set to square off against any number of undead, masked killers with nothing but the three-wick in your hand and your own blazing moxie. Then, with a chuckle of embarrassed relief, you realized it was just your lucky Chucky Doll figurine - must have fallen off the shelf when that puzzle doodad covered in all the bizarre symbols you found in the basement behind the walled-up root cellar tipped over. Pressing a hand to your fluttering heart, you shook your head as you contemplated the massive, flammable waxcident that nearly was - heavens, THAT certainly could have been messy! And then THAT'S when one of your friends came banging through the swinging door of the kitchen, catching you square in the back, throwing you forward and the candle up, and out, and then eventually down, where it exploded in a geyser of molten wax, covering everything in the livingroom with burnt orange pumpkin spice, including the creepy two-way mirror and the snarling wolf head affixed to the wall. Congratulations; now you're really in a horror movie! Oh, we've all been there, and not just waxies, but anyone who enjoys a hobby that occasionally errs towards the messy and dangerous (jest not, glitter glue burns are a real thing!) So this month, in honour of Halloween, we're taking a look at our most monstrous pastime nightmares - the waxcidents and beauty blunders and crafting calamities that haunt our hobby dreams. What's the worst hobby hazard you've ever suffered? And do you have any magical tips for cleaning Pumpkin Cupcake Crunch out of carpet fibers (or wolf fur)? Soapmaking. It's a very rewarding, but also incredibly infuriating hobby. One thing could go wrong and an entire batch of soap could be ruined, or worse, expelled. Back in my earliest soapmaking days, I hadn't fully grasped the importance of heat in regards to soapmaking. In short, hotter = soap thickens faster, coolder = soap thickens slower. At this time I still liked using a thrift find crock pot to melt down the oils and butters I planned to use in my batches of soap. On this particularly fateful day, I forgot to turn off the crock pot once all the butters had melted down, and it was still around 100°F when I added in my water-lye mixture. I stirred once. I stirred twice. And the soap immediately hardened up. Like, finished soap hard. Like, I couldn't get it out of the crock pot hard. Thus began the longest cleanup session I've ever had, with none of the final product I had grown so accustomed to enjoying. The lesson stuck with me. Now, I always check the temperature of the oils before I start the saponification process. On a more personal note, I've been having a lot of jaw and tooth pain over the past few weeks. It culminated in an emergency visit to the dentist yesterday morning, where I had an impacted tooth removed. I don't know how some people have their teeth removed and go straight back to work like nothing has happened. I'm nauseous whenever I'm doing anything that's not laying down. I can't eat very much - in fact, I'm currently subsisting off of chicken broth and water. The site of the tooth is in pain, even with the pain medications I've been given to keep it under control. In short, I'm a big, miserable baby right now. If you have a story to share about the worst hobby-related catastrophe you've ever suffered, please leave a cringe-worthy comment in the section below! 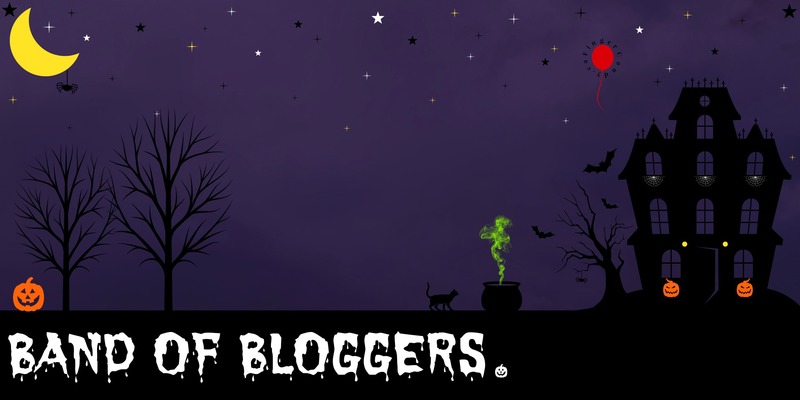 And we hope you'll visit these Band of Bloggers blogs and help support the blogger community. If you are a blogger and would like to join us for our monthly Band of Bloggers posts, please feel free to contact us. I imagine soaping would have the potential to make big messes. Pouring wax and making it did too, but mostly out of hand fragrance oils in my case. Hoping you feel better soon, Liz. Having my wisdom teeth out wasn't so bad but I was a teen then so maybe I bounced back easier. Thinking of you. I didn't know you made soap, how cool! What types of scents did you like to make? Ugh, been there with the impacted wisdom teeth. I couldn't handle the pain meds bc I'm sensitive to them and they made me nauseous. I have a super gross memory of my dad trying to feed me mashed potatoes that came out bloody, ew. He is a worrier and thought I wouldn't eat for days or something (I was 22 mind you) anyways I went back to waitressing after 2 days and got a high fever and was sent home. Take your time to get back into the groove slowly or else it could be worse, it sounds like you're doing the right things already. Take care. That was very cool - things I did not know about soap (such as seizeage; although I guess it's a lot like (inedible) fudge that way - move fast and keep track of your timing. Sorry to hear about your tooth. I think I mentioned that my husband had an impacted tooth this summer - required emergency surgery, actually. He was pretty unhappy, so I can imagine. Feel better soon.